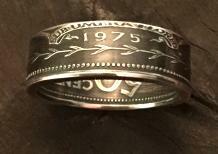 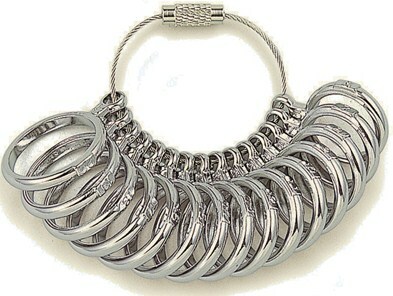 Oftentimes people make a coin ring out of a circulated coin. 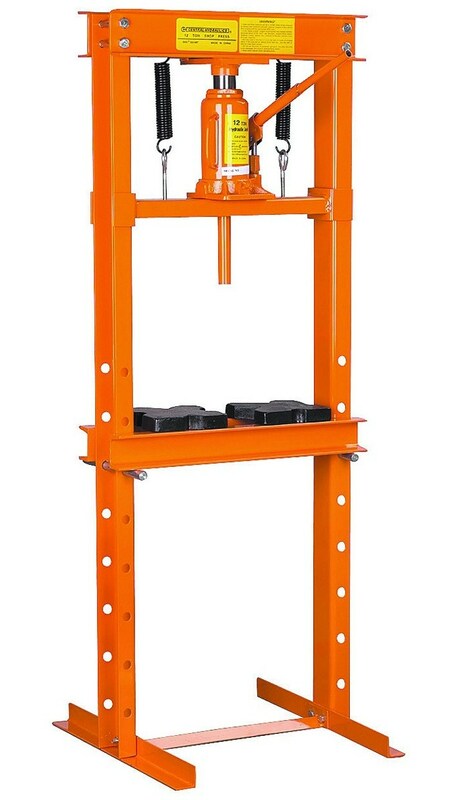 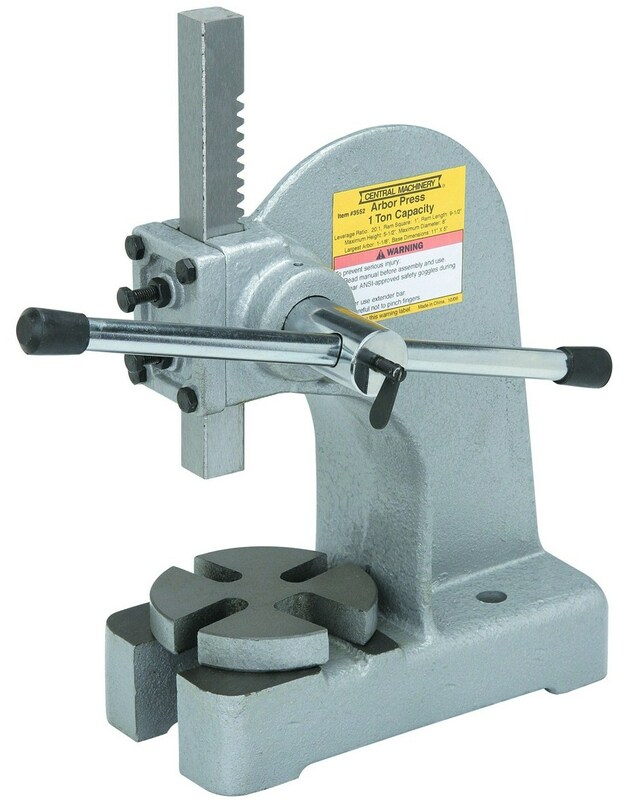 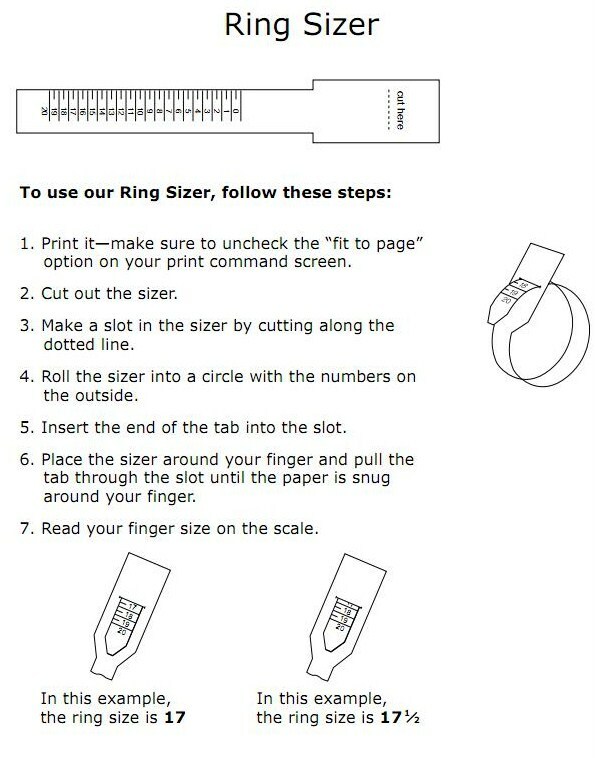 This is fine, except that there can be some “slop”, or play, from the distance of the edge of the reeded part of the coin and the retaining washer of your center punch kit, causing it to not fit snugly into the washer. 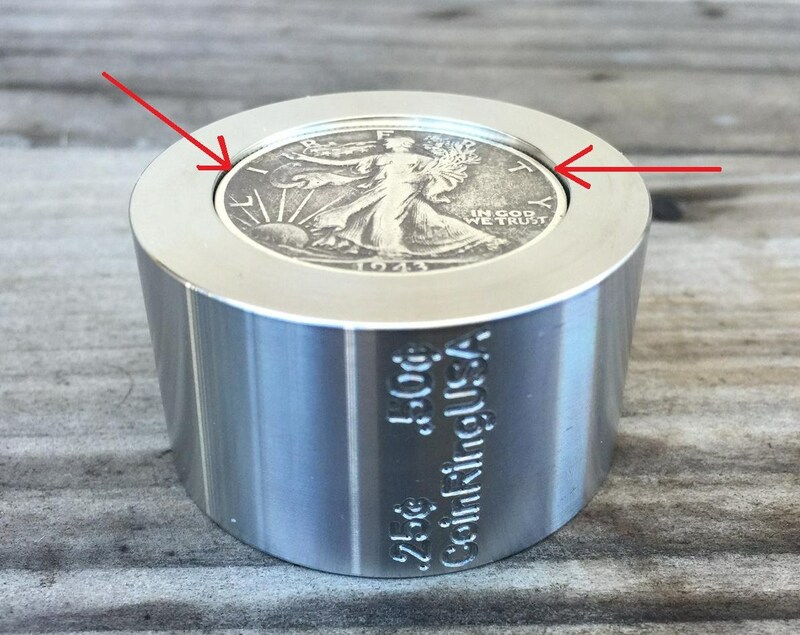 The end result of this can be a slightly off-centered hole punched into the coin. 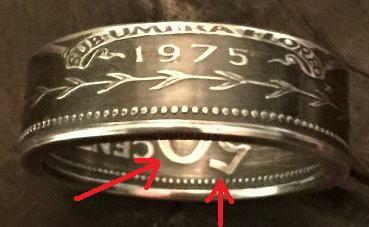 Notice the well-worn reeded edge of the coin. 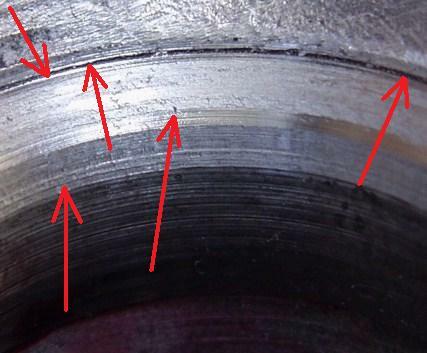 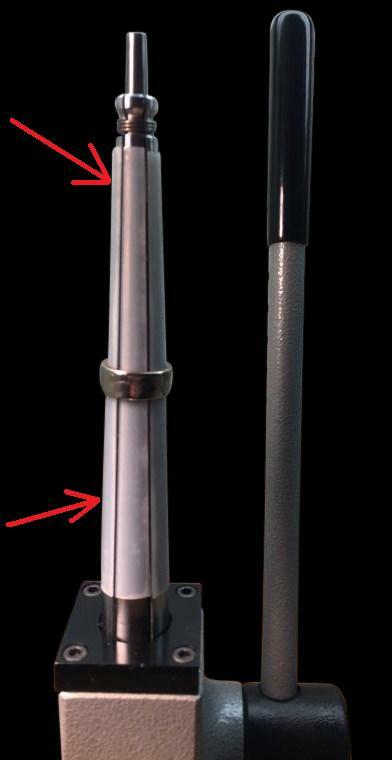 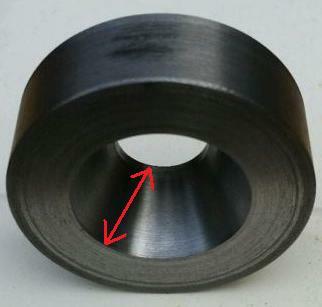 Notice the “gap” between the reeded-edge of the coin and the retaining washer, (by the red arrow). 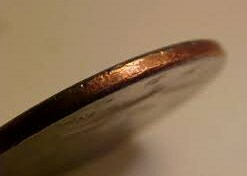 Another area where this coin “slop” can show up is when using my Stabilizer Reduction Dies; where the coin will seem to wiggle inside the top face of the die before you begin to fold it down, (again due to the gap caused by a well-worn or circulated coin). 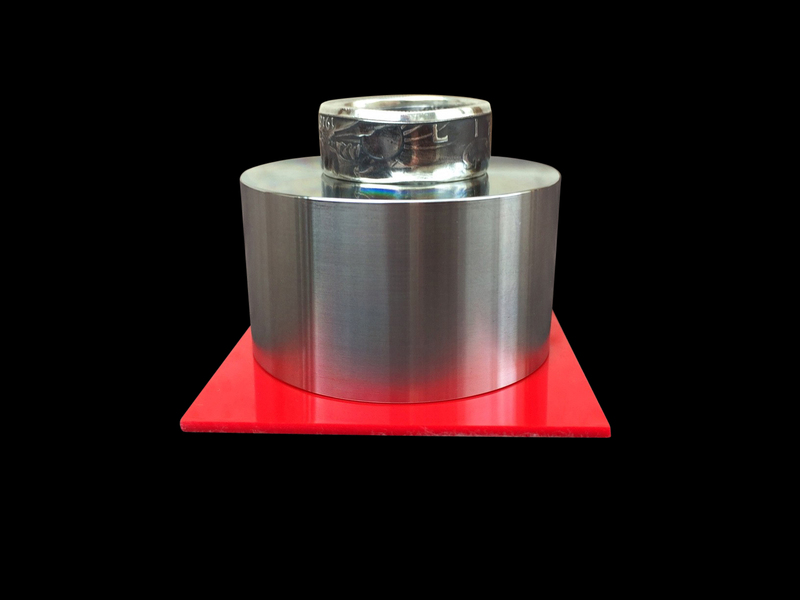 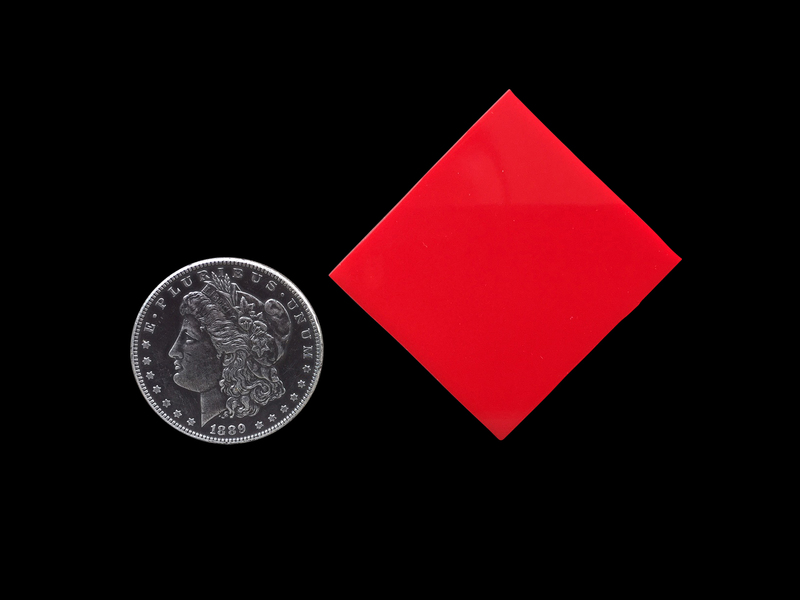 Notice the slight gap between the reeded-edge of the coin and the outer edge of this Stabilizer Reduction Die due to wear, (by the red arrows). 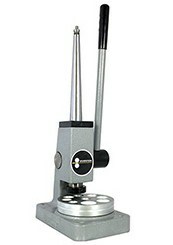 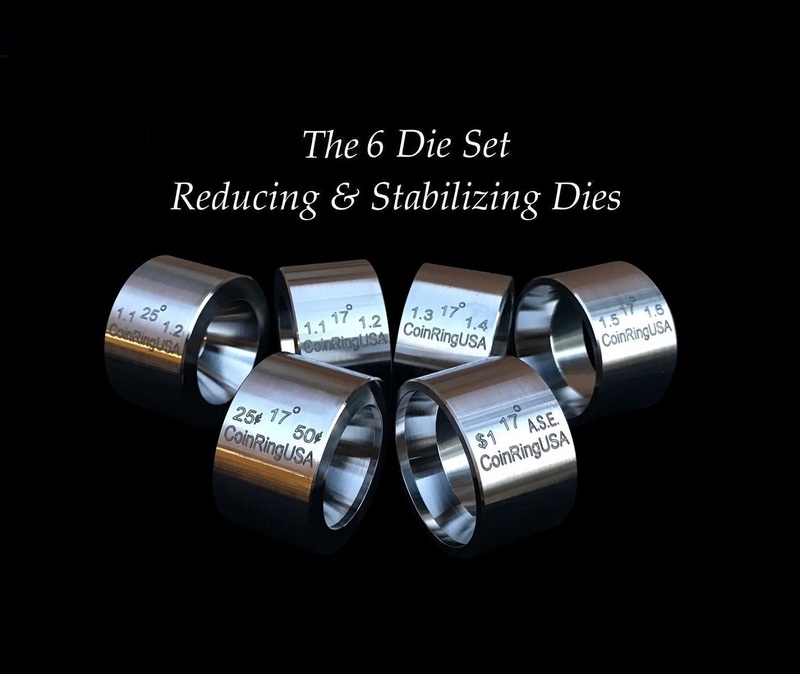 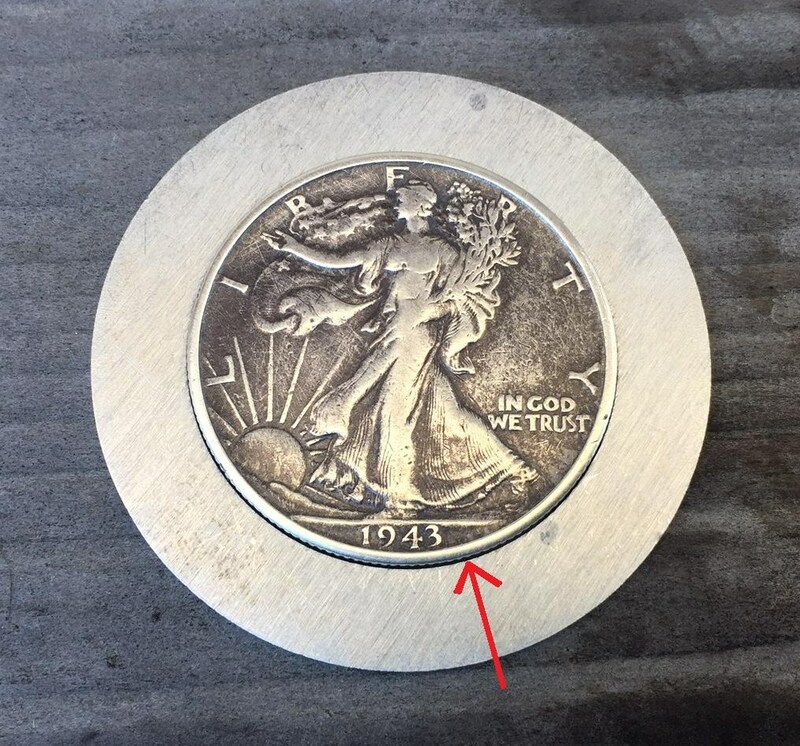 A quick and easy fix to this problem is to use a piece of paper towel both BEFORE you punch a center hole into your coin, and before you begin the process of folding it down into a Stabilizer Reduction Die. 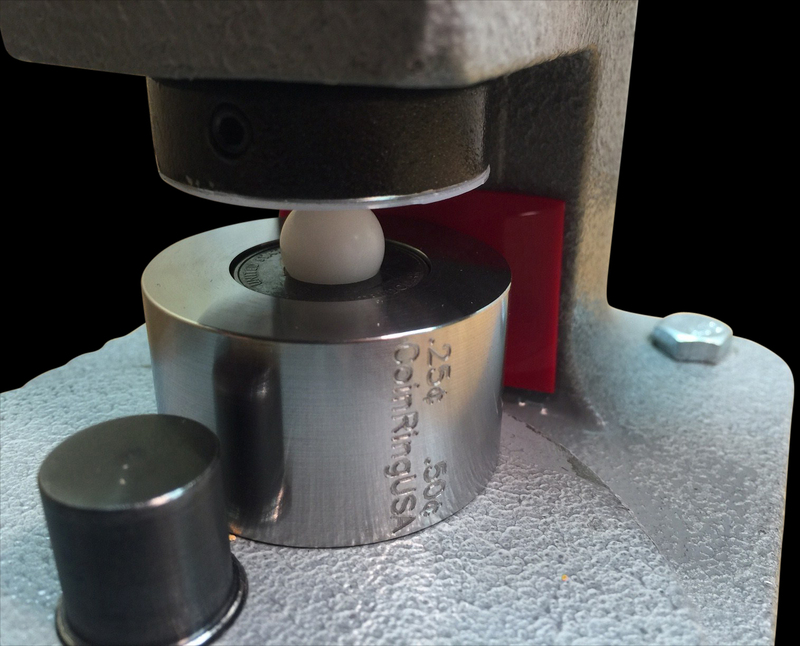 No more gap and a snug fit, ready for center-hole punching! 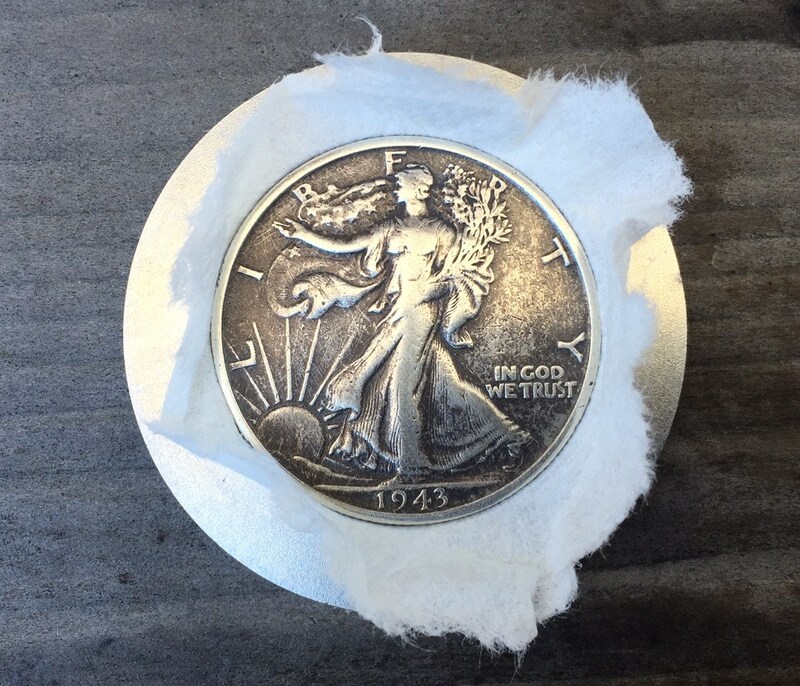 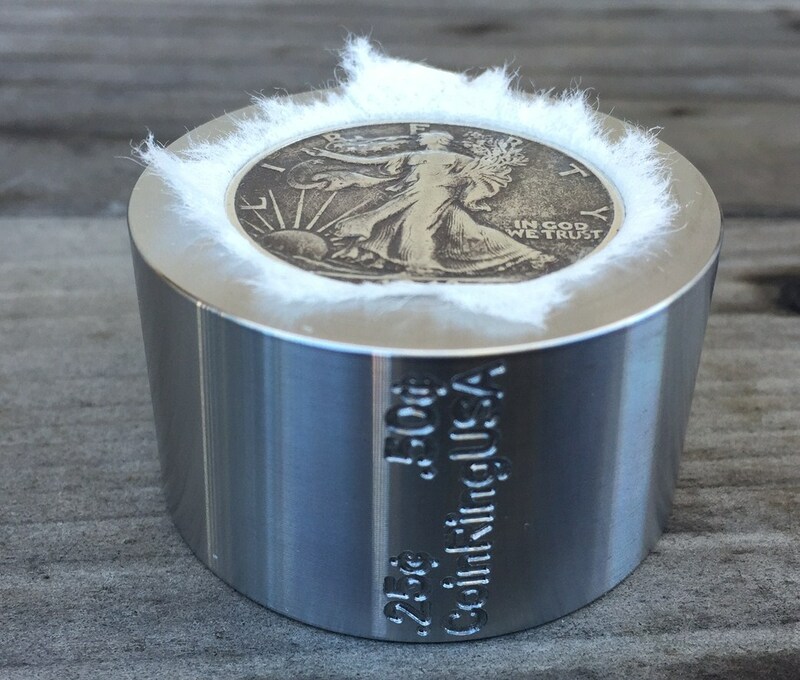 The paper towel will take up the slack that comes from using a circulated or well-worn coin and will give you a tight, snug fit; ensuring that your coin will not move either inside the washer (above), or inside the reduction die, (below). 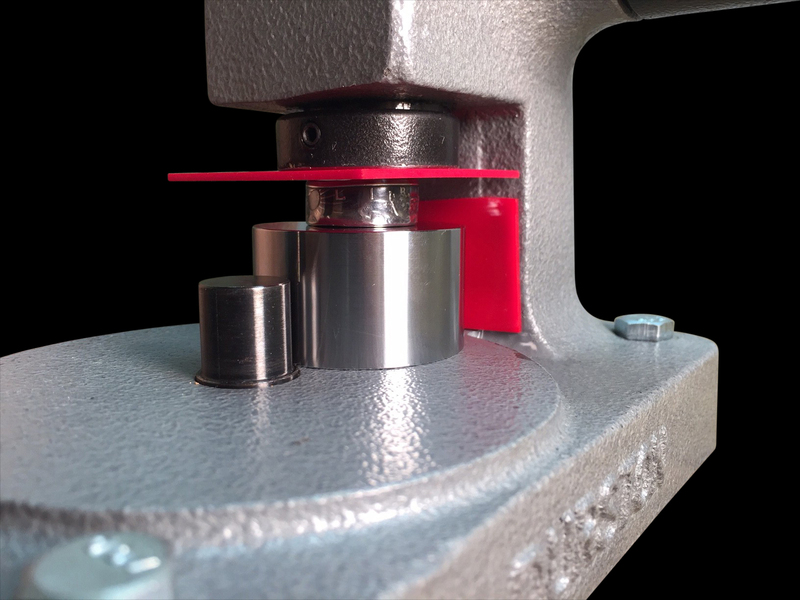 A snug fit with no gaps! 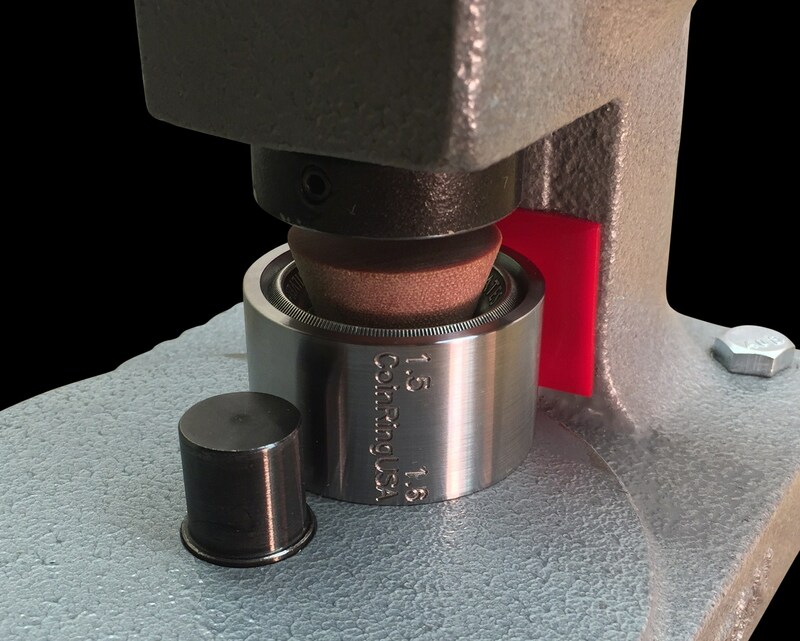 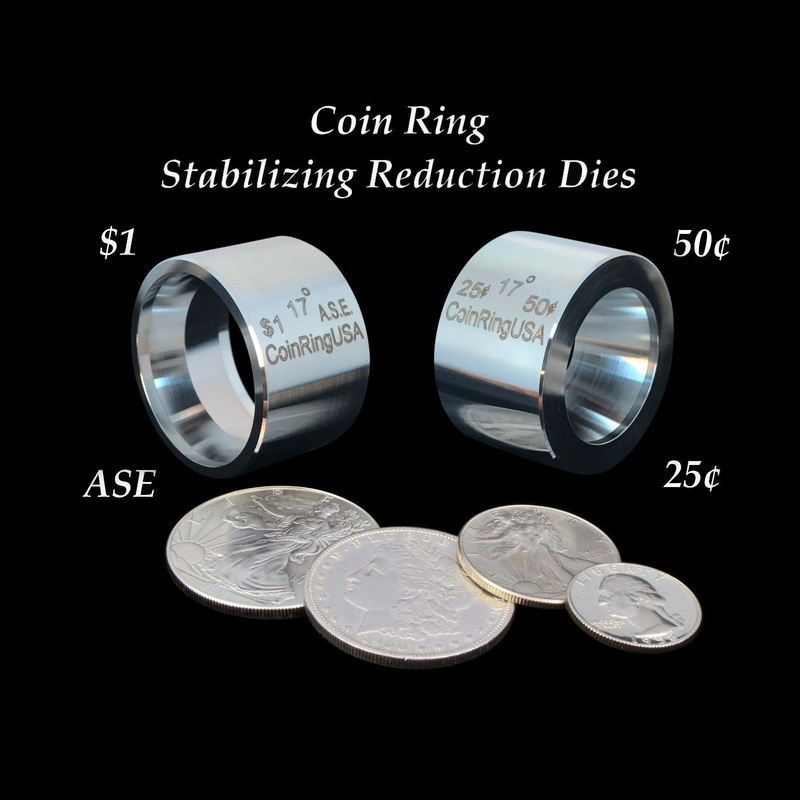 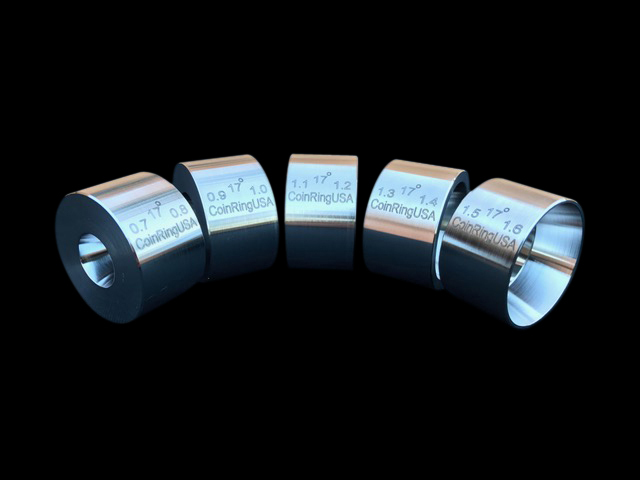 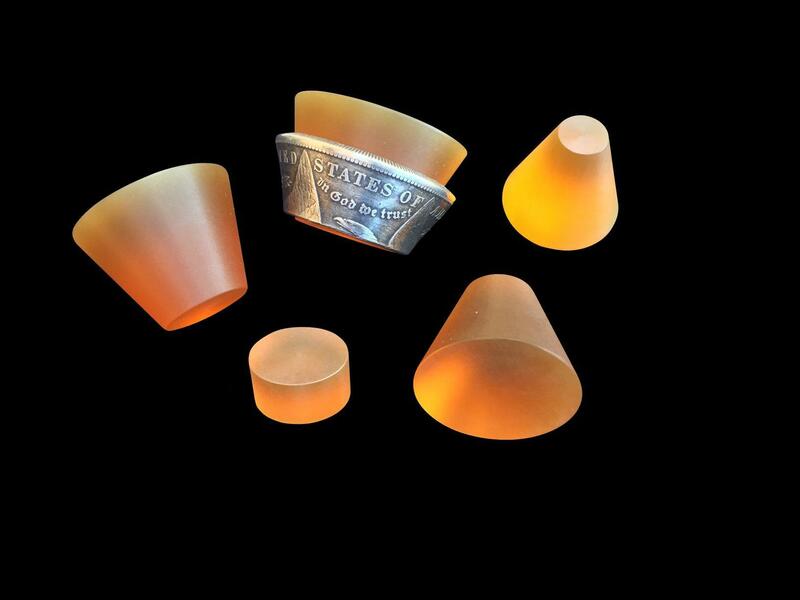 Using this easy tip will give you a perfectly-centered hole punched and folded-over coin; resulting in a better-looking coin ring!